Located in the beautiful Canadian Peace Country, we raise purebred and commercial Boers & Nubians. 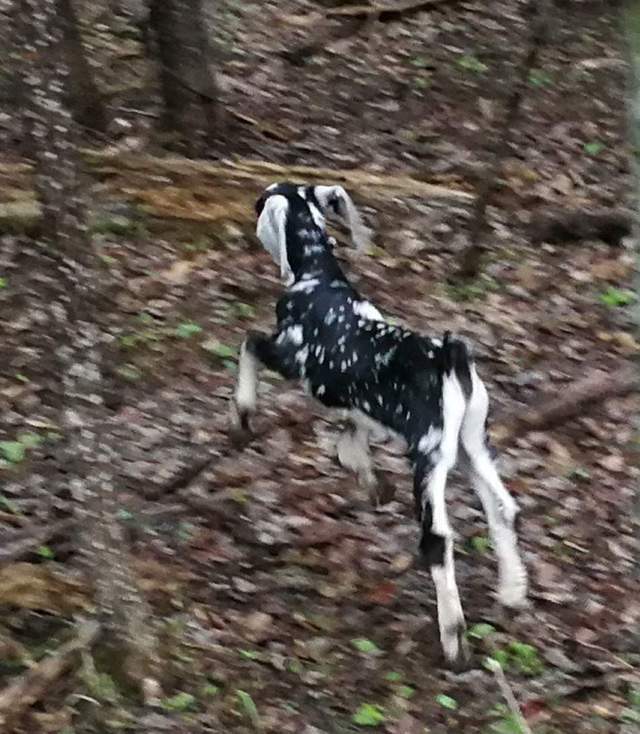 As of 2018, we're branching into Nigerians Dwarves & Mini Nubians as well with the purchase of a couple lovely polled Wonderland ND bucklings along with a gorgeous, wideset doeling. We believe an ounce of prevention is worth a pound of cure. Thus, ALL our goats have tested clear of CAE, CL, and Johne's. We aim to test for CAE & Johne's every 12-18 months, especially goats that were too young to screen the previous time. ALL newcomers are placed in quarantine and screened for all 3 diseases prior to being added to the herd. (After the initial intake screen, CL tests only occur if any abscess arises.) 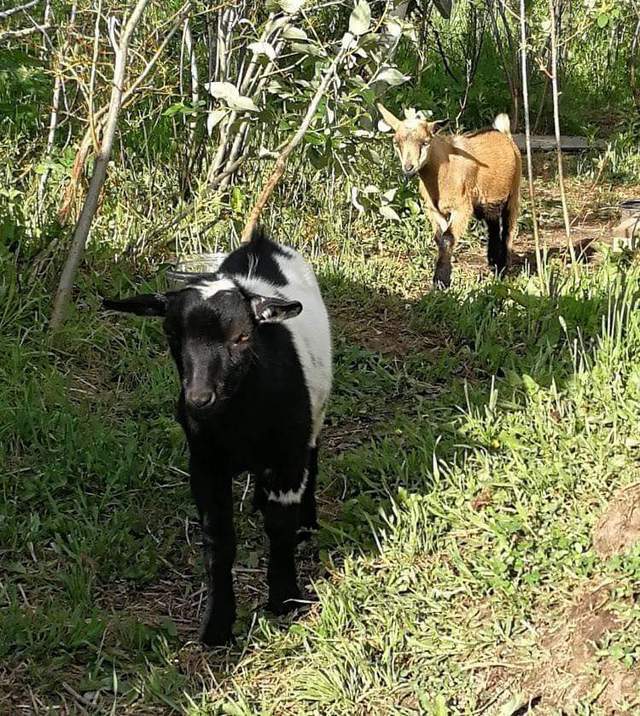 Any newly added, previously bred goats are also screened for Brucellosis in addition to the aforementioned screenings, prior to being added to the herd. As a proven sire, our Nubian buck was tested clear for Chlamydia as well during quarantine. Our Nubians have all tested negative for G6S (or are G6S normal by parentage). In addition, our foundation Nubian does were tested clear of Brucellosis, TB and Salmonella. 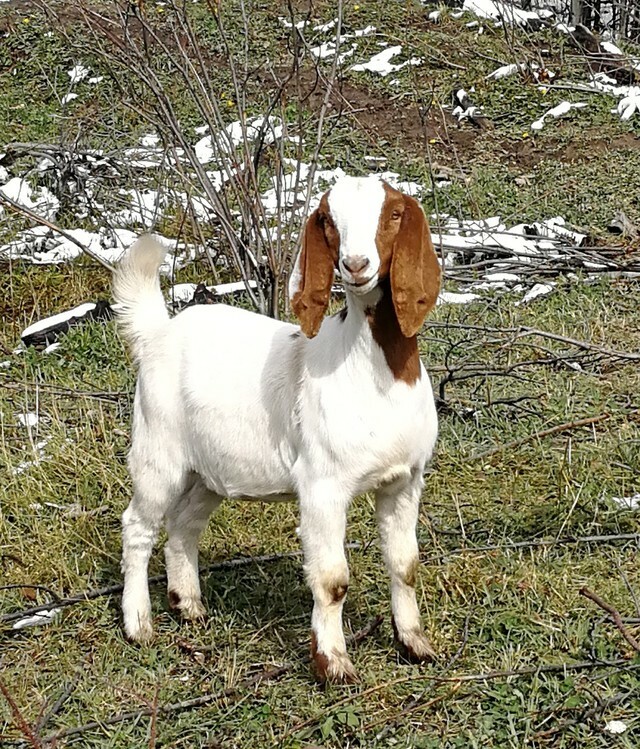 Our goals for our Boers are to do our best to raise healthy, hardy, fast growing, well built goats that do well on pasture / hay without much grain supplementation... so, we don't force our goats. For our Nubians, we hope to continue breeding the large, deep body that gives them the capacity to take in enough feed to produce large volumes of milk, while at the same time being able to maintain themselves well. Our Nigerians have been purchased from a herd that focuses on show quality and milk production. We aim to offer cute companions while retaining the quality that is capable of winning in the show ring. 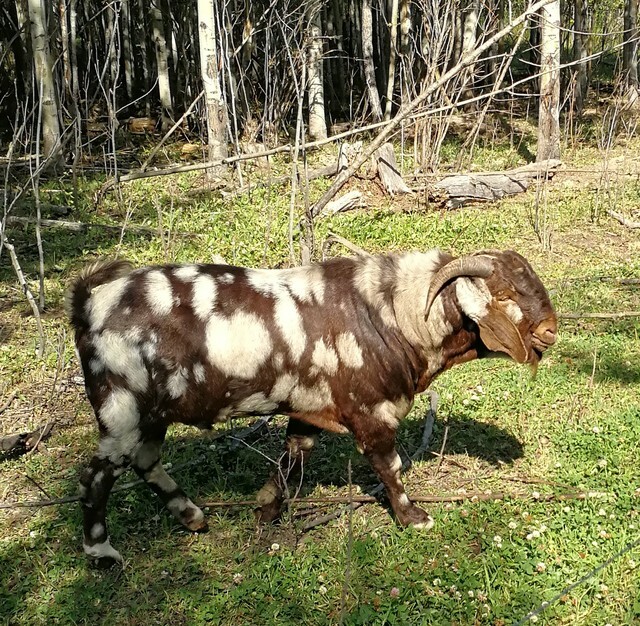 Our polled bucks will also be used on our first freshener Nubians & Boers for quicker evaluation purposes as well as to create Minis. We're one of the few breeders that offers our buyers a health guarantee. As for color- it's sweet icing on the cake. $50 to reserve a kid while adults are 50% down, with remainder due upon pickup. We take cash, e-transfer or certified cheque. 2019 Breeding Plans are uploaded! In addition to material here, please visit our website for more pictures & info.